Complete your celebrity worthy style with our exquisitely crafted pink georgette clutch bag. 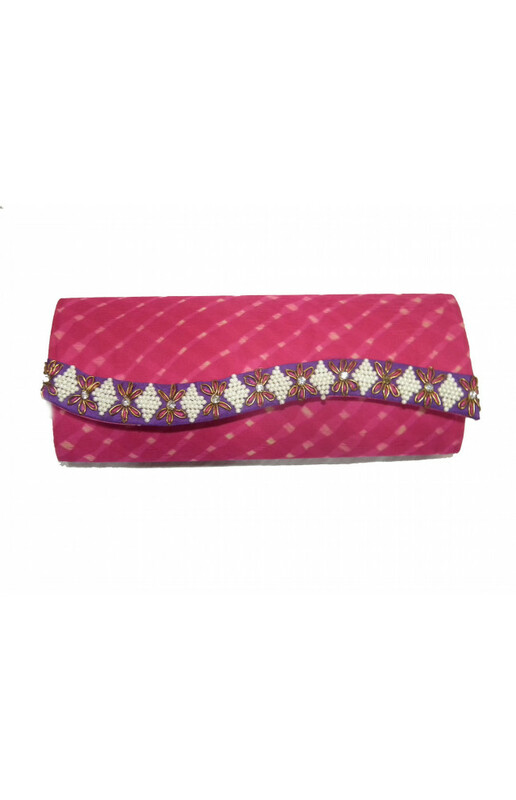 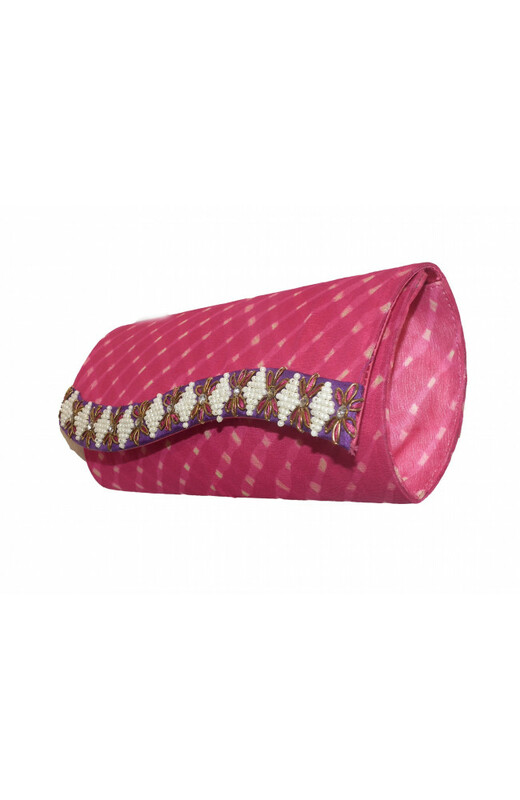 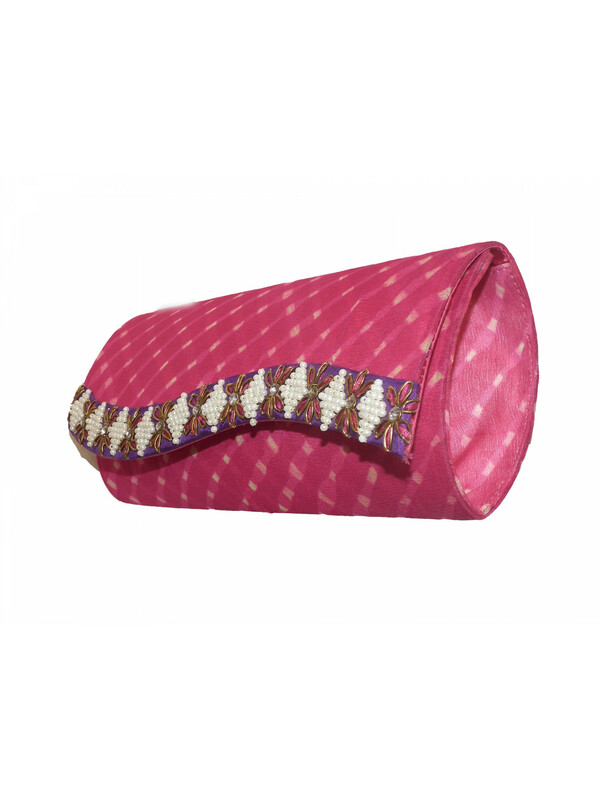 This fold-over clutch has an awe-inspiring traditional wavy pattern called 'leheriya' that ends into a contrasting purple curvilinear flap top bordered with pearl and zardosi work. 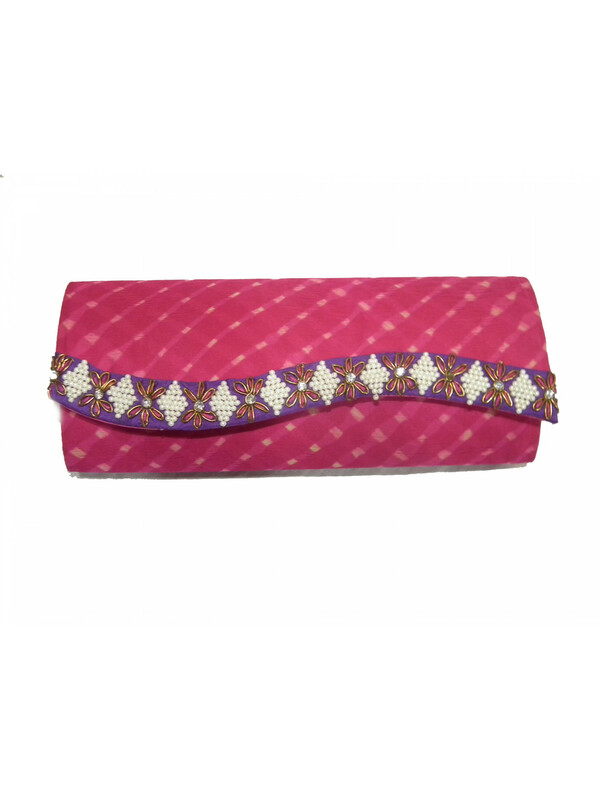 Add this signature clutch to your collection to enjoy everlasting fashion.